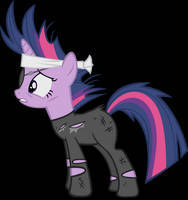 Twilight asked her future self if time-travel hurt. 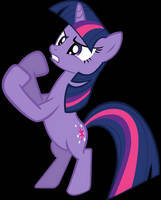 From future!Twilight's behaviour immediately after she materialised, I'd say the answer to that was: "Well, duh!" 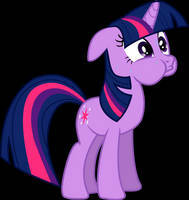 When i saw twilight in that suit, that's when my opinion on my little pony changed completely. I laughed soo much ! Pinkie jumping around in that suit - ... O_O you mean it's not for fun ? and the stare or the tone Twi has ! !